Gaming Club is an incredibly popular place to play for New Zealanders, offering everything from slots through to live dealer casino games. But does Gaming Club really deserve the popularity it receives in New Zealand? Well, you’ll find out when you read this detailed Gaming Club online casino review here at Gambling.co.nz! When you’re finished reading this Gaming Club review, you’ll know exactly whether this is the best place for you to play. At Gambling.co.nz, we work tirelessly to bring you honest and accurate reviews of most of the online casinos available to players in New Zealand, and we are trusted by huge numbers of different readers. These reviews allow players from throughout the country to decide on the best online casino for them, so there's now no need to waste your time signing up to a casino that you end up not liking. As you can probably gather by the above ratings, we think that Gaming Club is a great place to play, for a whole host of different reasons. While there are a few little issues to mention, every player in New Zealand should still have a fantastic experience when they sign up and play at this fun and trustworthy online casino. The first thing to evaluate in this Gaming Club review is the software, and players will be glad to hear that the games at this casino are from Microgaming. This means one thing: you can be sure that you’ll find some of the very best games in the world every time you log into your Gaming Club account, including fantastic slots such as Mega Moolah, Thunderstruck and Jurassic Park, as well as the full variety of different table games. Most players will choose to play the games using the Flash site, which can be accessed directly through any browser, however there is also the chance to download the casino onto your desktop, if this is something that you prefer. If you do decide to download the casino, you can be sure that the software is completely safe, and that your computer won’t be harmed in any way. Next up in this Gaming Club online casino review is the security, and this is an area that every player should be interested in. There’s good news here though, as there aren’t many online casinos in New Zealand that are safer and more secure to play at. In order to prove that all of their games are completely fair and honest, they have received certification from eCOGRA, which means that every spin of the reels and deal of the cards will be completely random. They are also regulated by the Malta Gaming Authority. This means that this organization constantly monitors the activity of the site, and should they suspect any wrongdoing, they will remove their licence straightaway. Very few complaints are made by players about Gaming Club, which is also another good sign that this is a safe site to play at. When it comes to adding money to your online casino account, the range of options is good, but not spectacular. As with most sites, there’s the option to deposit using a credit or debit card, while players can also use services such as Skrill, Euteller and Neteller to add funds to their account. The range is smaller for those who want to deposit using a mobile device though, so consider this if you know that you’ll usually be playing using a phone or tablet. Deposits are also instant, which is always good to see. When it comes to withdrawals, most requests are usually handled within 48 hours, meaning that payout times compare well with other New Zealand online casinos. The majority of depositing options at the site can also be used to withdraw funds, although occasionally you will need to select an alternative withdrawal method. The next thing to discuss in this Gaming Club online casino review is the games, and players certainly won’t be disappointed when they join this site. As already mentioned, most of them come from Microgaming, but it’s not only the quality of the games that’s good – there’s also a fantastic range to choose from. 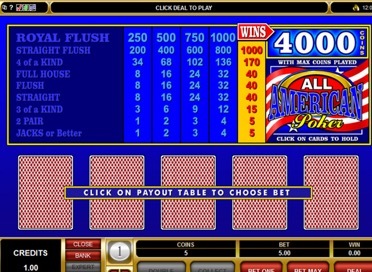 In fact, they offer hundreds of different titles to choose from, and they are particularly strong when it comes to table games. For example, they have over 40 different varieties of blackjack to play, as well as a number of roulette options. They also offer a number of progressive jackpot slots, some of which regularly have prizes that stretch into the millions. The live dealer games are also of a very high standard, however they only offer roulette, blackjack and baccarat, which is slightly fewer options than some other New Zealand online casinos. If you ever run into a problem while playing at Gaming Club, you’ll be looked after incredibly well by their team of customer service agents. The easiest way to get answers to a question is to contact them via live chat – all requests are answered extremely quickly, and it is possible to speak with them using this method at any time of the day. For more detailed questions, it might be better to phone or email them though, and you can find the Gaming Club email address on this page. If you’d prefer to find the answers to a question yourself, there are a number of helpful tabs at the bottom of the page, although they only deal with more common issues, so might not be too helpful to you. Overall though, the customer service at Gaming Club has to be considered better than average. The welcome bonus at Gaming Club is a great one, and it can be worth a huge amount of money. All new players will be able to get a 100% first deposit bonus worth up to NZ$100, but that’s not all – everyone can also receive a massive 150% second deposit bonus as well, which can be worth up to NZ$150! This means that new players can earn a total of NZ$350 in bonuses when they sign up with this site. Don’t wait too long before you make your deposits though, as this promotion will expire seven days after you register with the site. It should also be mentioned that the rollover requirement is 50x, which is higher than many other bonuses found at online casinos. As with many other online casinos, there is also a loyalty scheme in place at Gaming Club, and it’s a pretty good one. Those who play at the site regularly will be able to use the points that they earn to activate better promotions, as well as claim free gifts. Those who play at the site a lot can also find themselves being made a part of the VIP Club, and this leads to even more impressive perks when playing at Gaming Club. Do you fancy playing at a casino when you’re out and about? 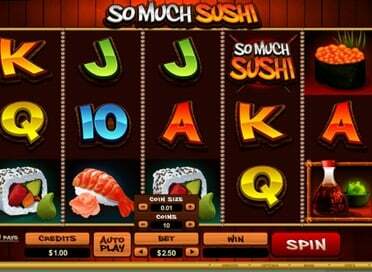 If so, you should find that the Gaming Club mobile casino offers pretty much everything you could want. Those with Android devices, including the range of phones and tablets from Samsung, will find that they can easily access Gaming Club whenever they have an internet connection, simply by typing in the URL on their browser. They will then be taken to a fully optimised mobile site, complete with many of the site’s top games. You’re out of luck if you want to use an app though, as there is no Gaming Club Android app available. If you’re reading this Gaming Club review and are wondering if Apple players can also enjoy this site, then don’t worry, as they certainly can. All Apple devices, from iPhones through to iPads, can be used to play at Gaming Club, and Apple users will find that the graphics are great and that the usability of the site couldn’t be better. As with Android devices though, there is no iOS app for Gaming Club. The BlackBerry is also still a pretty popular device in New Zealand, and those with a BlackBerry also aren’t excluded from playing – providing their device has the capabilities needed to access the casino. It’s great to see that Gaming Club haven’t neglected BlackBerry users, as is often the case at other New Zealand online casinos. 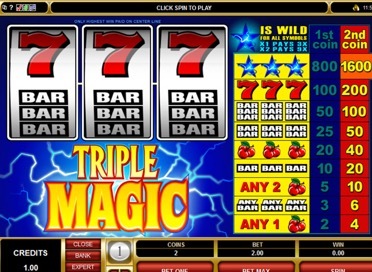 The final type of device to mention is the Windows Phone and, as with all of the other devices in this Gaming Club mobile casino review, you’ll easily be able to play at this casino using this device. Just head to the site using your browser, and you’ll be playing in a matter of seconds.